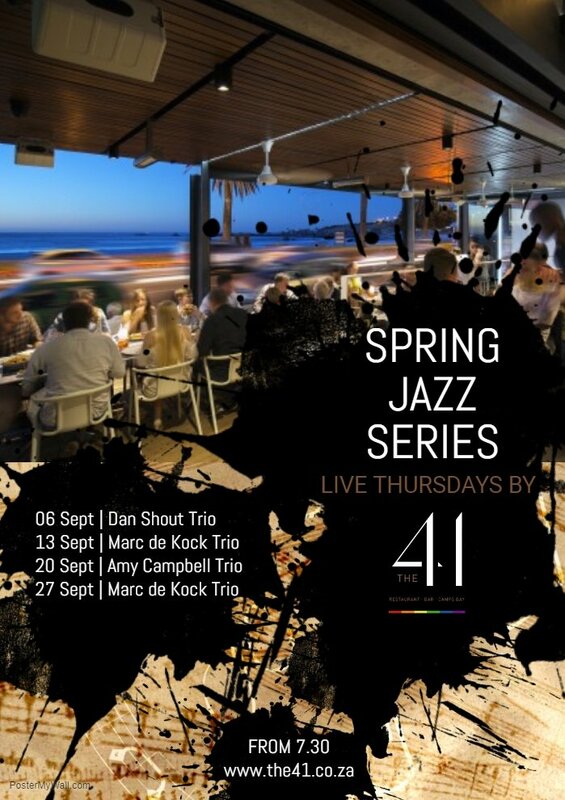 The last edition of The 41 Spring Series brings you the Marc de Kock Trio on the 27th September featuring Marc de Kock on saxophone, Blake Hellaby on keys and Kingsley Buitendag on electric bass. The band will perform a mix of jazz Standards, South African jazz, original compositions and light pop. Entrance is free, the food and service is great and so are the views! There is no reason not to make this your Thursday night hang. Dinner will be A La Carte.